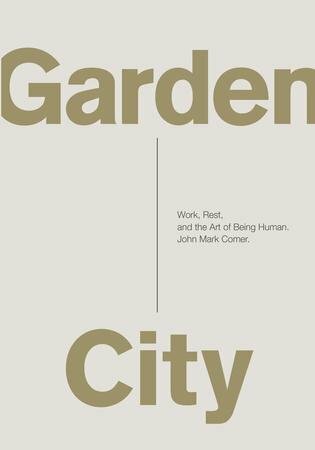 GARDEN CITY: Work, Rest, and the Art of Being Human John Mark Comer. When someone told me about a year ago that I needed to read this book about work and rest, I laughed - I have a great work ethic - or so I thought! It’s taken me a while to catch up to the fact that I’m a bit of a workaholic and my scales are definitely tipped in the wrong direction. I took their advice and have now read this book twice. It’s been really helpful and given me a new insight into the sabbath. But I’m still a work in progress. And I still get it wrong. The book is conversational and easy to read - there were bits I could take or leave but on the whole, I’ve been challenged, humbled and inspired to do better, to take responsibility and to own my shortcomings. I found it full of little sections that I could take away and unpack. It unravelled my thoughts and led me to ask questions of God that I didn’t even know I had about purpose, expectations and faith. The book says “... people see God’s presence and beauty in the way we live.” This is what I long for in my life and one day I hope that people will look at me and see just that!